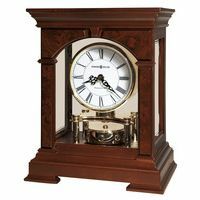 The Hermle Oak Ridge balloon-style mantel clock is presented in a black satin finish case with 4 carved feet. 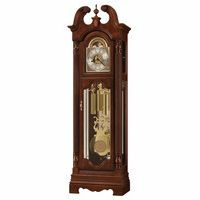 The classic design is executed in a solid wood case. The German-made quartz chime movement plays Westminster and Bim Bam chimes. 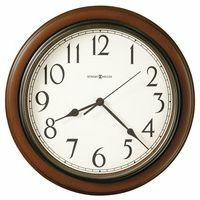 The silver colored dial has black Roman numerals and black metal hands housed behind a convex glass lens. Volume control lets you select desired sound level, and auto-night shutoff feature built in as option. Made in Germany.